High quality intergraded elastic band to hold the padding in position. Firm pressed PU and Foam insert padding which has 7 padded section to follow the contours of the knee, provides great protection without restricting the movement. Sleek design for a great appearance. Whether you're performing in the spotlight, or practicing in the studio, this will give you great confidence. Size M for Teen will fit for most of teenage or even adult. 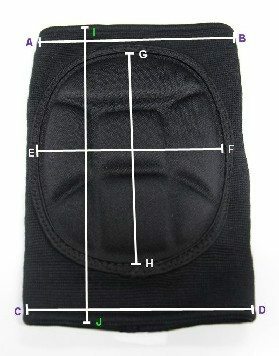 The best way to work out the size pls following size chart, the measurement is accurate.